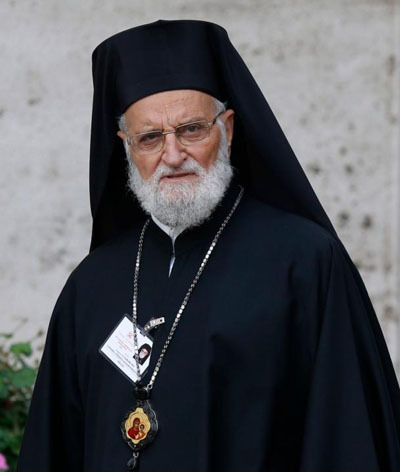 VATICAN CITY (CNS) — Two months after bishops of the Melkite Catholic Church declared they had reconciled with each other and found a way to move forward together, the Vatican announced Pope Francis had accepted the resignation of Melkite Patriarch Gregoire III Laham. “After praying and reflecting attentively, I consider it opportune and necessary for the good of the Greek Melkite Church to accept his resignation today,” said the letter addressed to Patriarch Laham and all the bishops of the Melkite Church. Pope Francis thanked the patriarch for his service and, especially, for his work to keep the suffering and the needs of the people of Syria in the public eye. Patriarch Laham had convoked a synod of the Melkite bishops in June 2016, but the meeting was postponed because half the Melkite bishops boycotted the gathering and called for the patriarch’s resignation. One of the main issues of contention was the management of church property, but also leadership styles. The bishops also scheduled another synod assembly for June. Between the resignation of Patriarch Laham and the election of a new patriarch by the synod, the church will be administered by the member who has been a bishop the longest, in this case Melkite Archbishop Jean-Clement Jeanbart of Aleppo, Syria, 74.